"Looking for the perfect house can be very stressful but Rachel took much of that away and made things so easy. Her knowledge and professionalism was above and beyond. She wasn't fazed at all when we kept giving her a laundry list of houses we wanted to look at, and then look at again! Even after the sell she kept in touch and that just shows how much she cares about her clients. There is not an agent I would recommend more than Rachel Harrington. Thanks again Rachel!" "My family and I had to suddenly relocate to the Kansas Ciry area due to a job change. We did not want to rent so we decided to search for homes to purchase. We came across Rachel's website and sent her a message. She contacted us back very quickly that day and we scheduled a time to look at houses. Rachel went above and beyond for us by working with our schedules since we were living in a different part of the state at the time. She was very patient and understanding since this was our first home buying experience. There were times where we had several questions and she was always available to talk. She listened to what we were looking for and helped in every step of the way to find our perect home. We are very happy with our new home and consider Rachel a friend as well!" "We appreciate the superb job by Rachel Harrington selling our condo in Independence. Her work was very professional and she kept us fully informed at all times on a variety of issues. In addition to all the expected assignments and tasks, she watched over the final steps of the work completed by our general contractor in preparation for the sale. Rachel suggested and negotiated a contract for staging, which when completed we believe was just what was needed to attract the buyer who purchased the home. She assisted us in coordinating all the legal steps necessary for us to complete the sale from California, saving us the cost of a trip to Independence. Rachel was at all times very professional in her business transactions. We recommend her for any client and especially for an out of state owner." 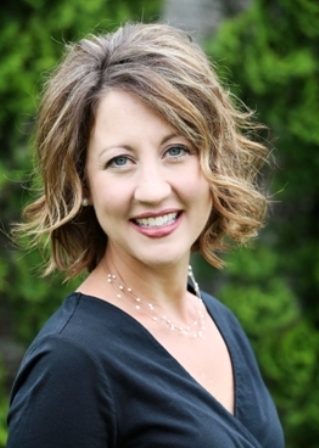 "Rachel has worked with our family through two home sales over the past six years. In each of these transactions we have found her to be very sensitive and knowledgeable of the housing market. Further, she has consistently taken the extra steps required to help us "showcase" our home in the most advantageous manner, from suggesting the utilization of those skilled in home presentation to just making sure that the little details of daily home care are taken care of. She is a jewel to work with, always positive and forward-looking while maintaining a strong sense of reality in a very volatile business. My family and I feel it our good fortune to have her as a good friend as well as our real estate advisor." "Rachel was a real pleasure to work with. It is very stressful to both sell and buy a house in a very short time window. Well that is what we needed to do and Rachel accommodated our crazy schedule and helped us navigate the process smoothly. We were very pleased with Rachel's real estate knowledge, professionalism and persistence to help us close both deals quickly. Rachel worked hard to create a WIN-WIN for all parties involved and thanks to her we are now settled comfortably into our new home. We would highly recommend her. Thanks Rachel!" "Rachel Harrington was fantastic to work with! She is professional, knowledgeable and honest. Rachel is very thorough and easily navigated us through the sale of one home and purchase of another. I think we looked at almost every house in our price range in Lee's Summit and some in surrounding areas. Rachel was always helpful, supportive and personable. She was always available and worked with our schedules. We highly recommend Rachel to anyone buying and/or selling a home. If/when we decide to sell or buy in the future, we will definitely want to work with Rachel." "Rachel was awesome to work with. She went above and beyond. My wife and I looked at over 30 homes and Rachel was always striving to find the perfect house for us. We are very pleased with our house in Blue Springs and Rachel was instrumental in this process. I highly recommend her for any of your real estate needs." "We had a very good experience in selling with Rachel Harrington representing us and recommend her highly." - Dan and Alice Waite, Independence, MO. "Rachel is not only a kind and wonderful person, she is an excellent Realtor. We could always count on her to be available and accommodating, and a top notch professional. She is knowledgeable, informative and knows her craft well. When we hear of someone who needs a Realtor, Rachel Harrington is the one we always recommend." We just want to say how pleased we are in our dealings with Rachel. She is so pleasant to work with. Every actions she performs results in a positive outcome. Every phone call, every signature needed, every change was handled proffessionally, calmly and in a time frame needed to proceed. Her flexibility made working with her a pleasure. As I drive by our sold house, I see homes that are still for sale when our was on the market. We will definitely recommend Rachel as a buying and selling agent to anyone we know. "We Know Rachel...We Know Results""
"Rachel was so accommodating and patient with us during our house search, from the early stages up to coming to the closing. Even after we moved in, she continued to gather information for us. She was accessible 24/7 and always got back to us in a timely manner with answers to our many, many questions. Thank you for helping us stay focused and being so positive during the sometimes stressful moments, we really appreciate all your efforts! We love our house and neighborhood and would recommend Rachel to anyone searching for a home!"